Abuja (AFP) - Nigeria's central bank on Monday announced it was stopping the direct sale of US dollars to bureaux de change to protect the under-pressure naira and conserve depleted foreign reserves. 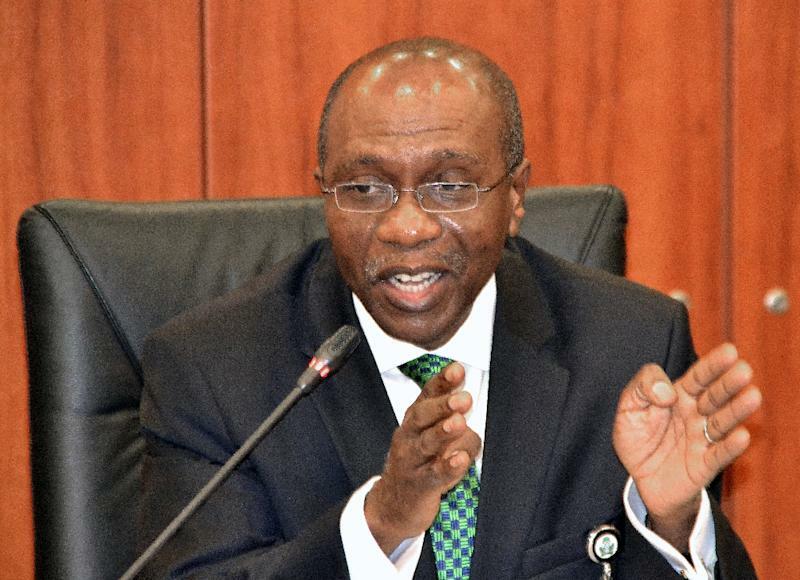 The Central Bank of Nigeria will now "discontinue its sales of foreign exchange to BDCs (bureaux de change)", governor Godwin Emefiele said in a speech in Abuja. "Operators in this segment of the market would now need to source their foreign exchange from (an) autonomous source." He added: "Commercial banks will now be allowed to accept cash deposits of foreign exchange from their customers." Nigeria -- Africa's biggest economy, number one oil producer and most populous country -- has been battered by the global fall in crude prices since mid-2014. Oil sales contributed some 90 percent of the country's foreign exchange earnings. But as the cost of a barrel plunged below $40 a barrel this month, forex earnings have fallen to as low as $1 billion a month, said Emefiele. At the same time, forex demand in Nigeria's import-heavy economy has risen, which combined with rising inflation and slowing GDP growth has led to the depletion of foreign reserves, he added. The CBN has been under pressure to devalue the naira, which is officially pegged at 197 to the dollar, although on the tolerated black market, exchange rates can be as high as 250 naira. Restrictions on the forex market have been introduced to conserve reserves, including reducing the amount the CBN sells to each bureaux de change operators each week from $60,000 to $10,000. But Emefiele said the bank noted with "grave concern" that some operators were flouting limits on them providing $5,000 or less to clients. Instead, some had become "wholesale dealers" illegally handling millions of dollars per transaction. "Operators in this segment have not reciprocated the Bank's gesture to help maintain stability in the market," he added, accusing them of being "greedy" for selling at higher rates. Demand for operating licences has sky-rocketed to nearly 150 per month as individuals seek to cash in, he added, leading to the "gradual dollarisation" of the Nigerian economy.